Parades are not just mere attractions in Atlanta− they are institutions! Ask any Atlanta local about the parade culture in the city and she’ll be happy to brief you about the parades you absolutely shouldn’t miss. Here are some of our favorites. Atlanta’s annual St. Patrick’s Parade is one of the most highly anticipated events in the city. On this special day, the streets of Atlanta are flooded with huge crowds dressed overwhelmingly in various shades of green. St. Patrick’s Parade not only kicks off the day-long celebrations in the city− it is very much a part of Atlanta history. It first started in 1858, making it one of the oldest St. Patrick’s Day parades in the United States. You don’t need to be Irish to take part in this revered city parade. All you need to do is head to Peachstree Street on St. Patrick’s Day wearing your best Irish-y outfit. After the parade, proceed to the party of your choice for some great food and stout. Billed as the “city’s funkiest and most eclectic spring parade,” the Inman Park Festival march is definitely one you shouldn’t miss. It’s a quintessential Atlanta experience, taking place in one of the city’s oldest and most historic neighborhoods. What makes the Inman Park Festival Parade so fun is that participants get to dress in a large variety of costumes. Dress up as your favorite hero or even Santa Claus (at least his springtime version.) And then march to the drum and lyre of the Seed & Feed Marching Abominables, one of the premier marching bands in the city. Established in 2010, the Atlanta Beltline Lantern Parade may be fairly new to the local parade scene, but it’s been drawing a great deal of attention ever since. When it first started, only 1,200 people joined. Today, numbers reach over 70,000! The parade starts at the Eastside Trail early in the evening, with all participating lanterns lit up. It then continues on to Piedmont Park, its usual endpoint. This event is absolutely free, with no registration required. Watch the streets of Atlanta get decked out in all shades of the rainbow as citizens celebrate love and freedom of self-expression. 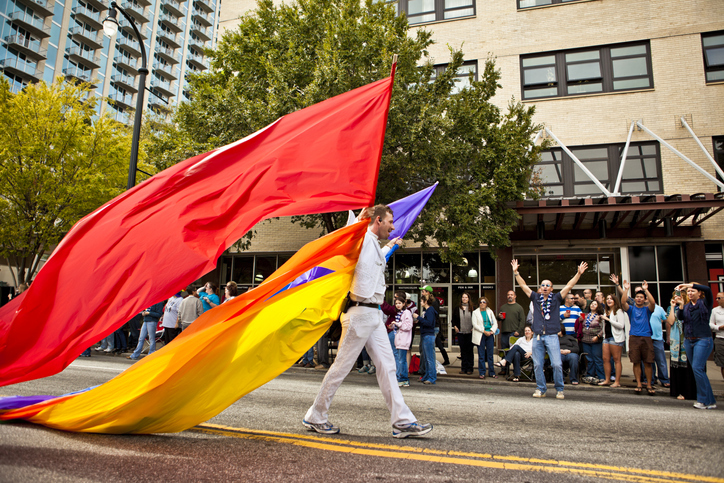 The Atlanta Pride Parade is one of the biggest pride events in the United States, attracting thousands of participants and spectators to the city every October. Routes every year differ, but rest assured, the whole of Downtown Atlanta will be toured by this colorful parade. Dance with the participants, walk with them, and just delight in this sensorial experience. In addition to the main pride march, the Atlanta Pride Festival also has several other smaller parades: the annual Dyke and Trans marches, both of which take place a day before or after the Pride Parade. There are many reasons why you should explore Atlanta real estate, and their collection of parades is just one of them. For more information about homes for sale in Atlanta, talk to our team today at (404) 348-2373 or info(at)setrealestategroup(dotted)com.